A question arising from my post about some things to consider when you enable Exchange 2010 archive mailboxes asked how a user could revert back to Outlook’s AutoArchive feature if they decided that they really didn’t want to use the archive mailbox. The answer proved a little harder to discover, so here are the details. First, when you enable a mailbox with an archive (through the Exchange Management Console (EMC) or by running the Enable-Mailbox -Archive cmdlet from the Exchange Management Shell), Exchange populates a set of archive properties for the user’s Active Directory account and creates the archive mailbox in whatever target database is selected (same database, different database, or in Office 365). The fact that the user now has an archive mailbox is signaled by Exchange to Outlook through the AutoDiscover feature, which is responsible for keeping Outlook updated with details of resources available to a user. Outlook 2007 and 2010 invokes AutoDiscover when clients start and once an hour thereafter to ensure that resources such as the access granted to a shared mailbox are picked up and made available to users. You can see details of the communication that occurs between Outlook and Exchange by enabling logging and then examining the log file that Outlook creates the next time that the client starts. For Outlook 2010, the log file is located in \Users\UserName\AppData\Local\Temp\Olkdisc.txt (I haven’t used Outlook 2007 for a number of years, so you’ll have to figure this part out if that’s your client of choice). Not much fun for humans, but exciting for Outlook 2010 because this information tells the client that I can access an alternative mailbox (i.e. not my primary mailbox) of type “archive” (if it was type “delegate”, we’d know that this entry referred to a shared mailbox). The display name is simple text and can be changed by an administrator using the Set-Mailbox cmdlet. The LegacyDN (Distinguished Name) provides a path to the archive mailbox ending up in a GUID that Exchange can use to locate the actual mailbox, and the Server tells Outlook what server it needs to communicate with to access the mailbox. In this case, it’s an Exchange Online server as my mailbox is in the Office 365 cloud. When Outlook receives the AutoDiscover information it knows that an archive mailbox is available so it then proceeds to disable the AutoArchive menu option. This option is quite old (in functionality terms) and goes back to Outlook 2003 or thereabouts when it was provided as a method to allow users to move items out of their online mailbox into a local PST. Of course, in those days we couldn’t imagine what it might be like to have access to a 25GB mailbox, nor could the PC clients cope with mailboxes larger than 1GB because of slow disks, poor synchronization, and dial-up connections. And although Outlook 2003 made dramatic improvements through the introduction of cached Exchange mode and better synchronization techniques, it still made sense to move items out of the mailbox to a PST so that they were available even if the network connection to Exchange was down. When you have an online archive, Outlook deems that you should use this feature rather than AutoArchive. However, one potential issue with online archives is that they can only be accessed online as Outlook does not synchronize items from the online archive into the OST. However much I hate to say this, it’s therefore conceivable that AutoArchive and PSTs will be a better solution for some users. The next time that AutoDiscover runs, it will note that the archive mailbox is no longer available and will not include this resource in the list returned to Outlook. Thus, the next time that Outlook is started the AutoArchive option will remain intact and ready for the user to do whatever they want with PSTs (still a horrible file format, but useful at times). Just another little corner of Exchange and Outlook interoperability exposed to blinding light. 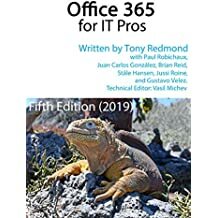 This entry was posted in Exchange, Exchange 2010, Office 365, Outlook and tagged Disable-Mailbox, Enable-Mailbox, Exchange archive, Outlook AutoArchive. Bookmark the permalink. Tony, wouldn’t it be worth mentioning to move the archived data from the Exchange archive to the primary mailbox first?